The Rule requires the inmate to show timely deposit and prepayment of postage. The Rule is amended to specify that a notice is timely if it is accompanied by a declaration or notarized statement stating the date the notice was deposited in the institution’s mail system and attesting to the prepayment of first-class postage. The declaration must state that first-class postage “is being prepaid,” not (as directed by the former Rule) that first-class postage “has been prepaid.” This change reflects the fact that inmates may need to rely upon the institution to affix postage after the inmate has deposited the document in the institution’s mail system. New Form 7 in the Appendix of Forms sets out a suggested form of the declaration. (2) Filing: Method and Timeliness. (ii) the court of appeals exercises its discretion to permit the later filing of a declaration or notarized statement that satisfies Rule 25(a)(2)(C)(i). Rule 25(a)(2)(C) is revised to streamline and clarify the operation of the inmate-filing rule. The Rule requires the inmate to show timely deposit and prepayment of postage. The Rule is amended to specify that a paper is timely if it is accompanied by a declaration or notarized statement stating the date the paper was deposited in the institution’s mail system and attesting to the prepayment of first-class postage. The declaration must state that first-class postage “is being prepaid,” not (as directed by the former Rule) that first-class postage “has been prepaid.” This change reflects the fact that inmates may need to rely upon the institution to affix postage after the inmate has deposited the document in the institution’s mail system. New Form 7 in the Appendix of Forms sets out a suggested form of the declaration. The amended rule also provides that a paper is timely without a declaration or notarized statement if other evidence accompanying the paper shows that the paper was deposited on or before the due date and that postage was prepaid. If the paper is not accompanied by evidence that establishes timely deposit and prepayment of postage, then the court of appeals has discretion to accept a declaration or notarized statement at a later date. The Rule uses the phrase “exercises its discretion to permit”—rather than simply “permits”—to help ensure that pro se inmate litigants are aware that a court will not necessarily forgive a failure to provide the declaration initially. Notice is hereby given that ___ (here name all parties taking the appeal) ___, (plaintiffs) (defendants) in the above named case,* hereby appeal to the United States Court of Appeals for the __________ Circuit (from the final judgment) (from an order (describing it)) entered in this action on the ___ day of __________, 20 ___. I am an inmate confined in an institution. Today, __________ [insert date], I am depositing the __________ [insert title of document; for example, “notice of appeal”] in this case in the institution’s internal mail system. First-class postage is being prepaid either by me or by the institution on my behalf. I declare under penalty of perjury that the foregoing is true and correct (see 28 U.S.C. § 1746; 18 U.S.C. § 1621). (d) Form of Papers; Length Limits; Page Limits; and Number of Copies. (10) the certificate of compliance, if required by Rule 32(a)(7)32(g)(1). Rule 28(a)(10) is revised to refer to Rule 32(g)(1) instead of Rule 32(a)(7), to reflect the relocation of the certificate-of-compliance requirement. (1) Page Limitation. Unless it complies with Rule 28.1(e)(2) and (3), the appellant’s principal brief must not exceed 30 pages; the appellee’s principal and response brief, 35 pages; the appellant’s response and reply brief, 30 pages; and the appellee’s reply brief, 15 pages. (C) The appellee’s reply brief is acceptable if it contains no more than half of the type volume specified in Rule 28.1(e)(2)(A). (3) Certificate of Compliance. A brief submitted under Rule 28.1(e)(2) must comply with Rule 32(a)(7)(C). When Rule 28.1 was adopted in 2005, it modeled its type-volume limits on those set forth in Rule 32(a)(7) for briefs in cases that did not involve a cross-appeal. At that time, Rule 32(a)(7)(B) set word limits based on an estimate of 280 words per page. In the course of adopting word limits for the length limits in Rules 5, 21, 27, 35, and 40, and responding to concern about the length of briefs, the Committee has reevaluated the conversion ratio (from pages to words) and decided to apply a conversion ratio of 260 words per page. Rules 28.1 and 32(a)(7)(B) are amended to reduce the word limits accordingly. In a complex case, a party may need to file a brief that exceeds the type-volume limitations specified in these rules, such as to include unusually voluminous information explaining relevant background or legal provisions or to respond to multiple briefs by opposing parties or amici. The Committee expects that courts will accommodate those situations by granting leave to exceed the type-volume limitations as appropriate. (a) Form of a Brief. (A) Page Limitation. A principal brief may not exceed 30 pages, or a reply brief 15 pages, unless it complies with Rule 32(a)(7)(B) and (C). • it uses a monospaced face and contains no more than 1,300 lines of text. (ii) A reply brief is acceptable if it contains no more than half of the type volume specified in Rule 32(a)(7)(B)(i). (iii) Headings, footnotes, and quotations count toward the word and line limitations. The corporate disclosure statement, table of contents, table of citations, statement with respect to oral argument, any addendum containing statutes, rules or regulations, and any certificates of counsel do not count toward the limitation. • the number of lines of monospaced type in the brief. (ii) Form 6 in the Appendix of Forms is a suggested form of a certificate of compliance. Use of Form 6 must be regarded as sufficient to meet the requirements of Rules 28.1(e)(3) and 32(a)(7)(C)(i). (e) Local Variation. Every court of appeals must accept documents that comply with the form requirements of this rule and the length limits set by these rules. 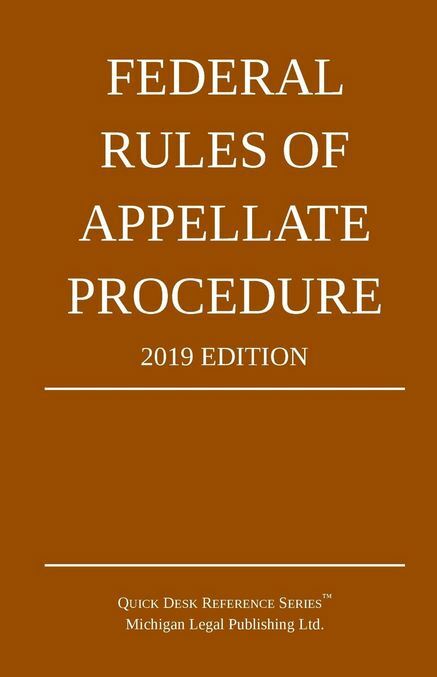 By local rule or order in a particular case, a court of appeals may accept documents that do not meet all of the form requirements of this rule or the length limits set by these rules. • any item specifically excluded by these rules or by local rule. (1) Briefs and Papers That Require a Certificate. A brief submitted under Rules 28.1(e)(2), 29(b)(4), or 32(a)(7)(B)—and a paper submitted under Rules 5(c)(1), 21(d)(1), 27(d)(2)(A), 27(d)(2)(C), 35(b)(2)(A), or 40(b)(1)—must include a certificate by the attorney, or an unrepresented party, that the document complies with the type-volume limitation. The person preparing the certificate may rely on the word or line count of the word-processing system used to prepare the document. The certificate must state the number of words—or the number of lines of monospaced type—in the document. (2) Acceptable Form. Form 6 in the Appendix of Forms meets the requirements for a certificate of compliance. When Rule 32(a)(7)(B)’s type-volume limits for briefs were adopted in 1998, the word limits were based on an estimate of 280 words per page. In the course of adopting word limits for the length limits in Rules 5, 21, 27, 35, and 40, and responding to concern about the length of briefs, the Committee has reevaluated the conversion ratio (from pages to words) and decided to apply a conversion ratio of 260 words per page. Rules 28.1 and 32(a)(7)(B) are amended to reduce the word limits accordingly. Subdivision (e) is amended to make clear a court’s ability (by local rule or order in a case) to increase the length limits for briefs and other documents. Subdivision (e) already established this authority as to the length limits in Rule 32(a)(7); the amendment makes clear that this authority extends to all length limits in the Appellate Rules. A new subdivision (f) is added to set out a global list of items excluded from length computations, and the list of exclusions in former subdivision (a)(7)(B)(iii) is deleted. The certificate-of-compliance provision formerly in Rule 32(a)(7)(C) is relocated to a new Rule 32(g) and now applies to filings under all type-volume limits (other than Rule 28(j)’s word limit)—including the new word limits in Rules 5, 21, 27, 29, 35, and 40. Conforming amendments are made to Form 6. (3) For purposes of the page limits in Rule 35(b)(2), if a party files both a petition for panel rehearing and a petition for rehearing en banc, they are considered a single document even if they are filed separately, unless separate filing is required by local rule. (2) a handwritten or typewritten petition for panel rehearing must not exceed 15 pages. ​ this brief uses a monospaced typeface and contains [state the number of] lines of text, excluding the parts of the brief exempted by Fed. R. App. P. 32(a)(7)(B)(iii). ​ this briefdocument has been prepared in a monospaced typeface using [state name and version of word–processing program] with [state number of characters per inch and name of type style]. • In computing these limits, you can exclude the items listed in Rule 32(f). • If you use a word limit or a line limit (other than the word limit in Rule 28(j)), you must file the certificate required by Rule 32(g). – You must use the page limit if you handwrite your document or type it on a typewriter. – You may use the line limit if you type or print your document with a monospaced typeface. A typeface is monospaced when each character occupies the same amount of horizontal space. (2) When Permitted. The United States or its officer or agency or a state may file an amicus9 curiae brief without the consent of the parties or leave of court. Any other amicus curiae may file a brief only by leave of court or if the brief states that all parties have consented to its filing. (2) (B) the reason why an amicus brief is desirable and why the matters asserted are relevant to the disposition of the case. (7) (G) a certificate of compliance under Rule 32(g)(1), if required by Rule 32(a)(7) length is computed using a word or line limit. (d) (5) Length. Except by the court’s permission, an amicus brief may be no more than one-half the maximum length authorized by these rules for a party’s principal brief. If the court grants a party permission to file a longer brief, that extension does not affect the length of an amicus brief. (e) (6) Time for Filing. An amicus curiae must file its brief, accompanied by a motion for filing when necessary, no later than 7 days after the principal brief of the party being supported is filed. An amicus curiae that does not support either party must file its brief no later than 7 days after the appellant’s or petitioner’s principal brief is filed. A court may grant leave for later filing, specifying the time within which an opposing party may answer. (f) (7) Reply Brief. Except by the court’s permission, an amicus curiae may not file a reply brief. (g) (8) Oral Argument. An amicus curiae may participate in oral argument only with the court’s permission. (2) When Permitted. The United States or its officer or agency or a state may file an amicuscuriae brief without the consent of the parties or leave of court. Any other amicus curiae may file a brief only by leave of court. Existing Rule 29 is renumbered Rule 29(a), and language is added to that subdivision (a) to state that its provisions apply to amicus filings during the court’s initial consideration of a case on the merits. Rule 29(c)(7) becomes Rule 29(a)(4)(G) and is revised to accord with the relocation and revision of the certificate-of-compliance requirement. New Rule 32(g)(1) states that “[a] brief submitted under Rules 28.1(e)(2), 29(b)(4), or 32(a)(7)(B) … must include” a certificate of compliance. An amicus brief submitted during initial consideration of a case on the merits counts as a “brief submitted under Rule … 32(a)(7)(B)” if the amicus computes Rule 29(a)(5)’s length limit by taking half of a type-volume limit in Rule 32(a)(7)(B). Rule 29(a)(4)(G) restates Rule 32(g)(1)’s requirement functionally, by providing that a certificate of compliance is required if an amicus brief’s length is computed using a word or line limit. (c) Additional Time after Certain Kinds of Service. When a party may or must act within a specified time after servicebeing served, 3 days are added after the period would otherwise expire under Rule 26(a), unless the paper is delivered on the date of service stated in the proof of service. For purposes of this Rule 26(c), a paper that is served electronically is not treated as delivered on the date of service stated in the proof of service. Rule 26(c) is amended to remove service by electronic means under Rule 25(c)(1)(D) from the modes of service that allow 3 added days to act after being served. Rule 25(c) was amended in 2002 to provide for service by electronic means. Although electronic transmission seemed virtually instantaneous even then, electronic service was included in the modes of service that allow 3 added days to act after being served. There were concerns that the transmission might be delayed for some time, and particular concerns that incompatible systems might make it difficult or impossible to open attachments. Those concerns have been substantially alleviated by advances in technology and widespread skill in using electronic transmission. Diminution of the concerns that prompted the decision to allow the 3 added days for electronic transmission is not the only reason for discarding this indulgence. Many rules have been changed to ease the task of computing time by adopting 7–, 14–, 21–, and 28- day periods that allow “day-of-the-week” counting. Adding 3 days at the end complicated the counting, and increased the occasions for further complication by invoking the provisions that apply when the last day is a Saturday, Sunday, or legal holiday. Rule 26(c) has also been amended to refer to instances when a party “may or must act … after being served” rather than to instances when a party “may or must act … after service.” If, in future, an Appellate Rule sets a deadline for a party to act after that party itself effects service on another person, this change in language will clarify that Rule 26(c)’s three added days are not accorded to the party who effected service. (D) for filing by other means, when the clerk’s office is scheduled to close. Subdivision (a)(4)(C). The reference to Rule 13(b) is revised to refer to Rule 13(a)(2) in light of a 2013 amendment to Rule 13. The amendment to subdivision (a)(4)(C) is technical and no substantive change is intended.